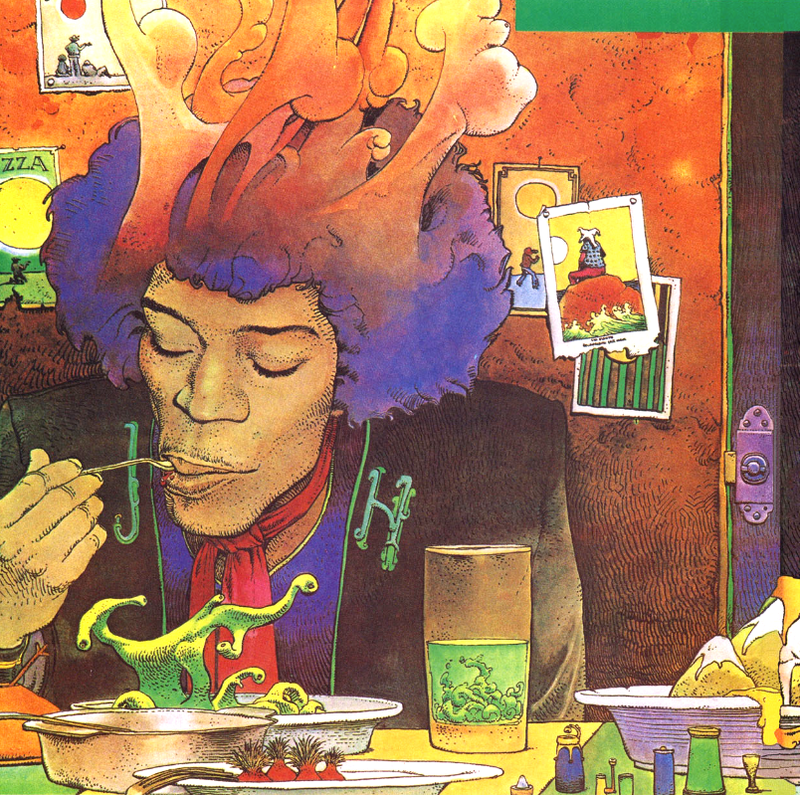 It may not be common knowledge that Hendrix hated his album covers, leaving detailed notes about them for his record company, who ignored them. 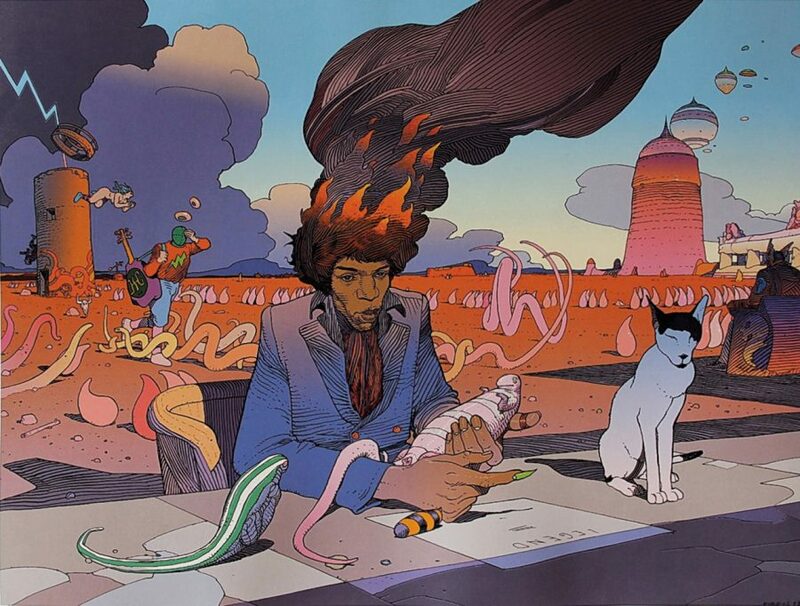 His own choices, one must admit, including a Linda McCartney photo for the cover of Electric Ladyland that makes the band look like they’re on the set of a proto-Sesame Street, do not exactly sell the records’ treasures. 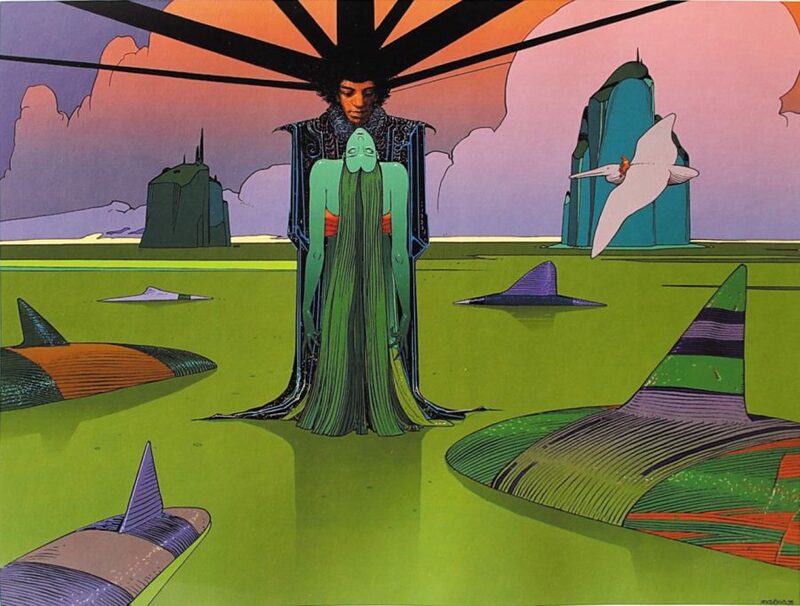 But Jimi might have loved Moebius’ interpretations of his headspace, a visual continuation of a prominent strand of Hendrix’s imagination. 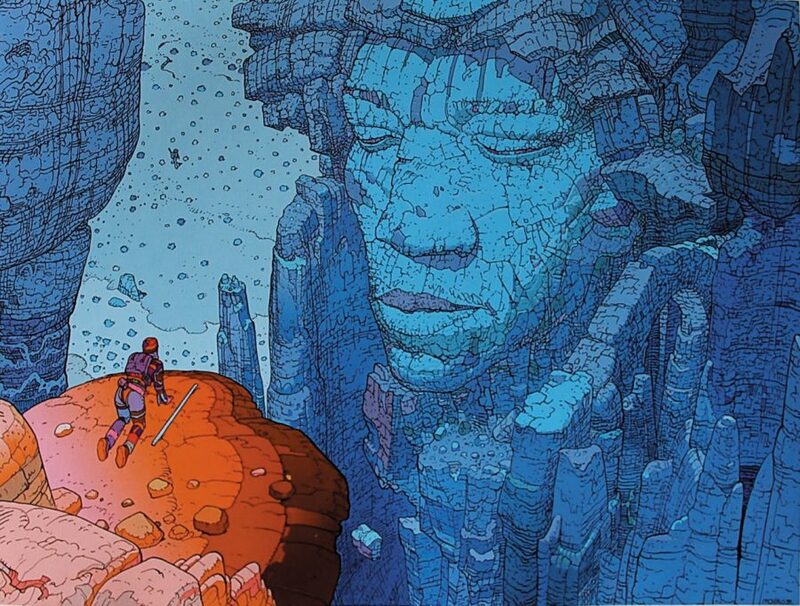 See all of Moebius’ Hendrix illustrations here. 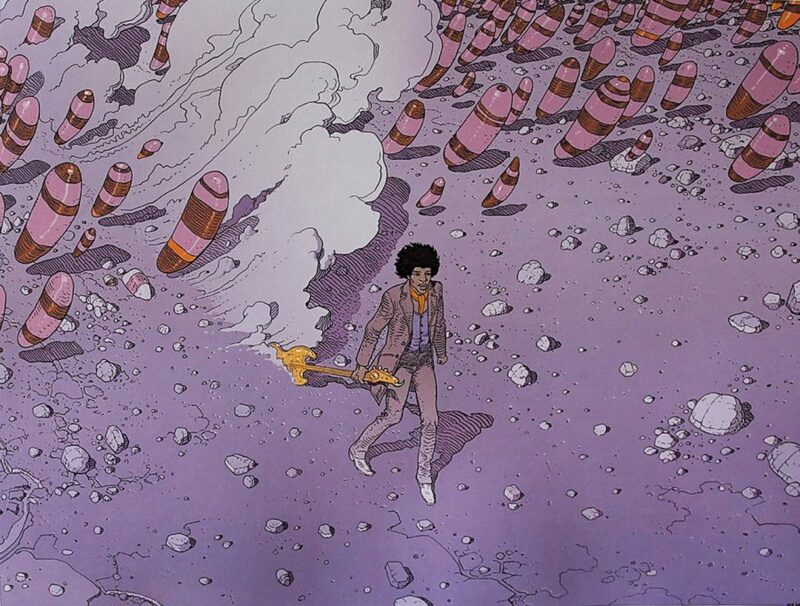 Behold Moebius’ Many Psychedelic Illustrations of Jimi Hendrix is a post from: Open Culture. 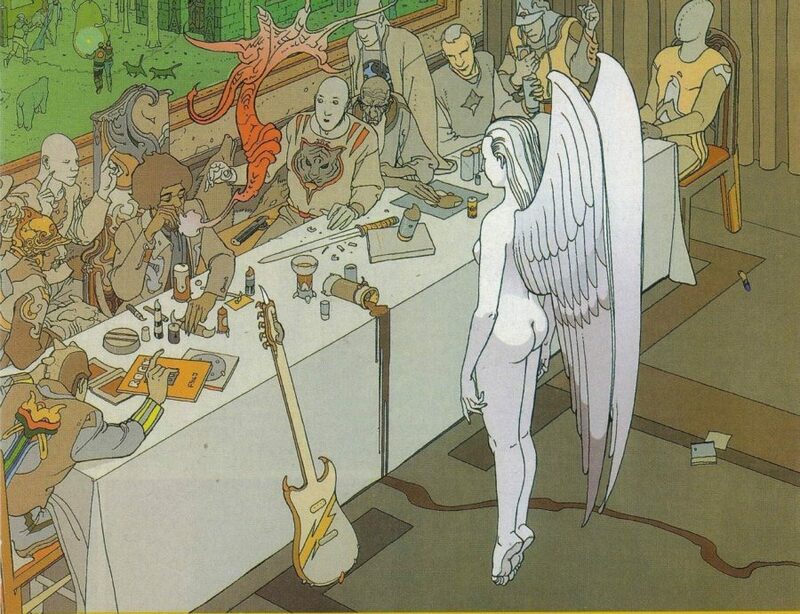 Follow us on Facebook, Twitter, and Google Plus, or get our Daily Email. 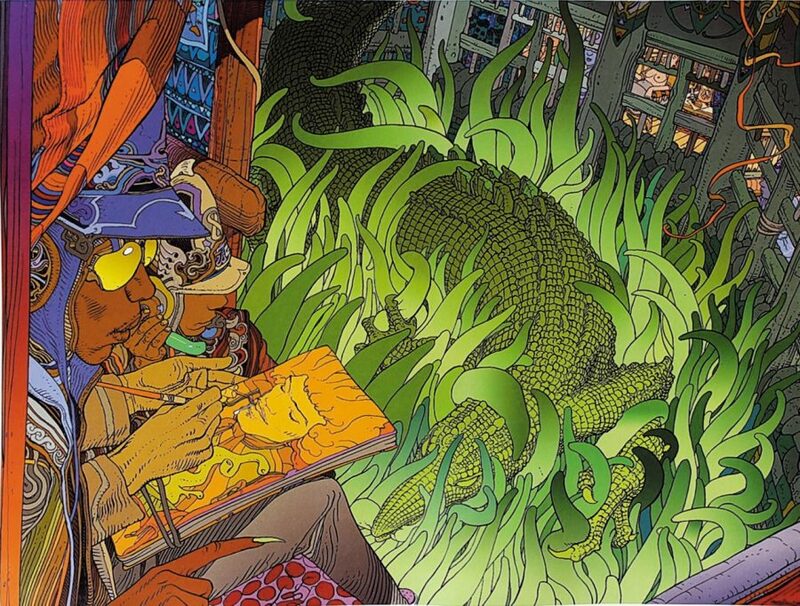 And don’t miss our big collections of Free Online Courses, Free Online Movies, Free eBooks, Free Audio Books, Free Foreign Language Lessons, and MOOCs.